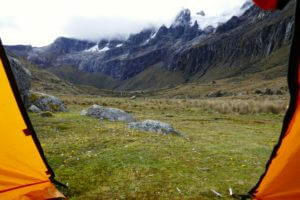 Guided trekking in Peru: a glorious landscape on the Alpamayo circuit! 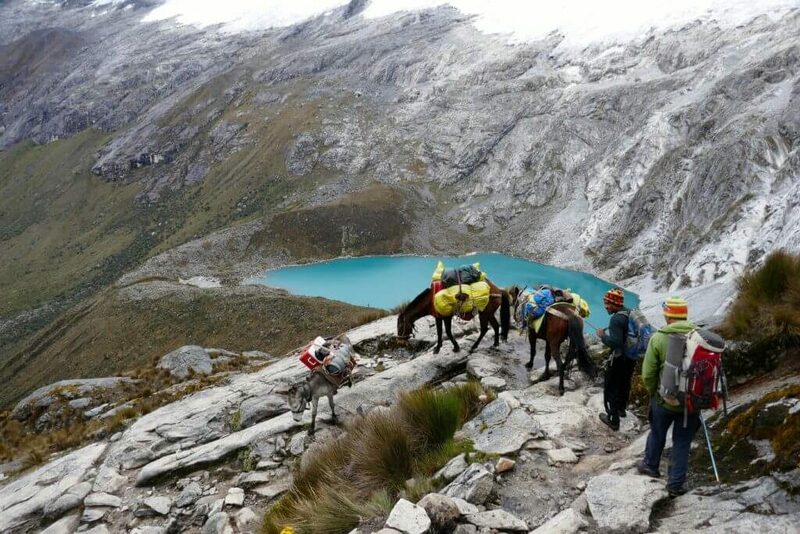 An impressive 11-day trek in the Cordillera Blanca in Peru with incredible mountain scenery including snow-capped peaks, turquoise lakes and beautiful meadows. 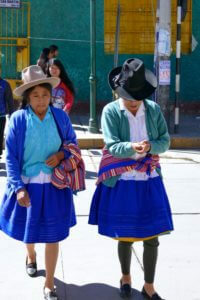 Cross high passes between deep valleys with their remote Quechua farming communities. 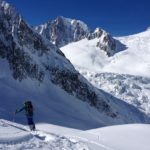 Revel in snowy peaks, bright lakes and areas of grassland. The Cordillera Blanca boasts an unspoiled landscape that is literally dotted with 5,700 to 6,000 metre peaks including Huascarán, the highest mountain in Peru at 6,768 metres (22,205 feet). Every day we trek past head-turning glacial lakes sporting an otherworldly colour of blue – always with a backdrop of rugged mountains. 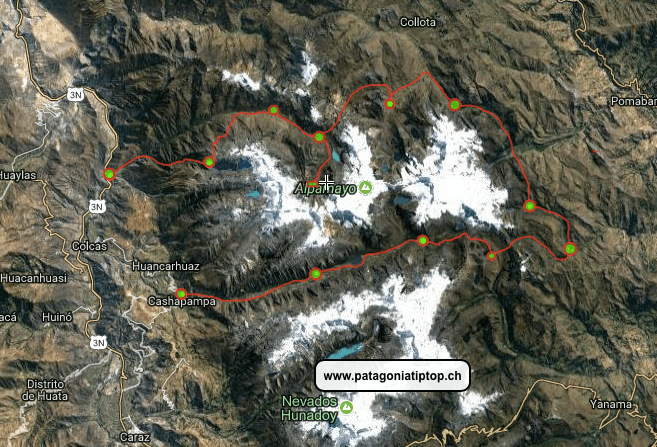 During this trek in the Cordillera Blanca we cross 11 passes and can be awestruck by the sheer number of glaciers. We’ll keep an eye out for the remains of pre-Incan ruins along the trail and will be treated to spectacular wildflower filled meadows. 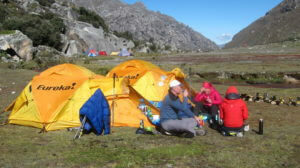 We sleep in tents in beautiful camp sites and enjoy the luxury of walking only with a daypack. Donkeys and local “arrieros”and cooks assist us to make the loop around the prettiest mountain in the world an unforgettable trek of a lifetime. This beautiful Laguna is perfect to acclimatize even better. This trek is rated as moderate to challenging. Well before the trek starts you should be working on your fitness. There are several back to back seven to eight hour hiking days. 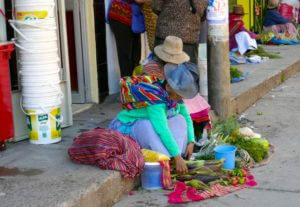 It is important that you are well acclimatized by spending at least 3 nights in Huaraz (or above 3500m) and do easy hikes during those days before starting the trek. We’re happy to recommend hikes and take you there. Every morning starting at around 7.00 we bring you hot tea or coffee to the tent. Then as you pack your day pack and the duffel for the donkeys back we prepare your breakfast. By 8:30/9:00 we’ll start walking on the trails. After a picnic lunch we hike several more hours to reach the camp for the next night. Now you’ll have some time to get cleaned up and for relaxation. After a delicious dinner, chances are you’ll be scurrying to the warmth of your sleeping bag shortly after dinner. Nights come early close to the equator and the temperature drops quickly once the sun goes down. 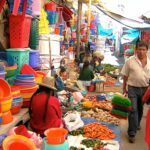 Take a flight to Lima, the capitol of Peru and a taxi to the bus terminal. 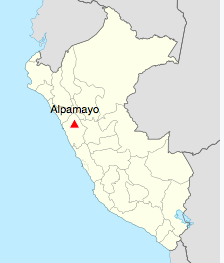 The easiest way to reach the Cordillera Blanca from Lima is by bus from the new bus terminal, it’s a seven- to ten-hour ride from Lima (420km). Voted as the most beautiful mountain in the world. 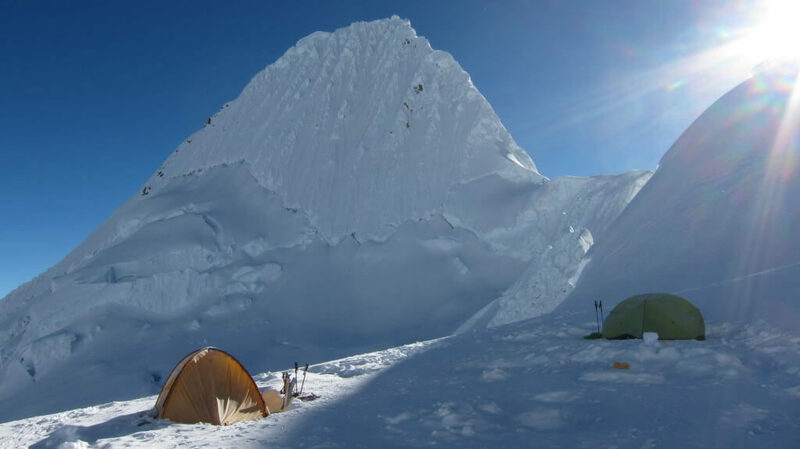 The picture was taken at the high camp for climbers that climb up to the peak. It can get pretty cold at night (-10°C) and than pleasant and warm during the day. Usually the mornings are still cold and as soon as the sun sets it’s cool again. I’ts important to bring layers.